I have been working on a new idea. 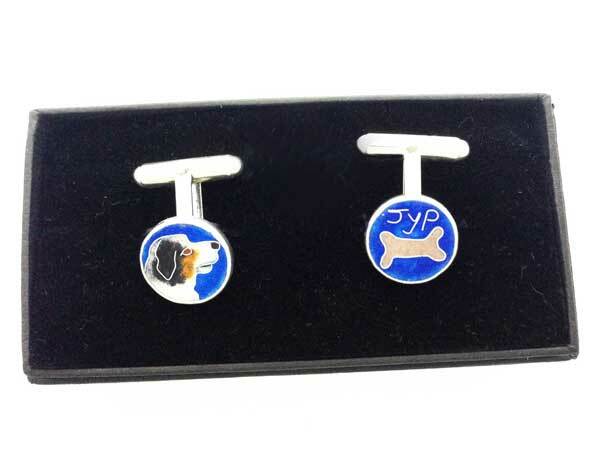 Cufflinks for my husband with our dog Jyp on. 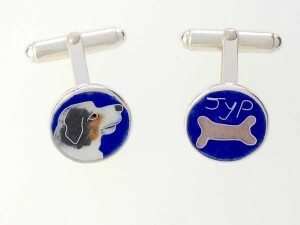 They are cloisonne enamel on fine silver, set in hallmarked sterling silver cufflinks and they measure 14 mm in diameter. 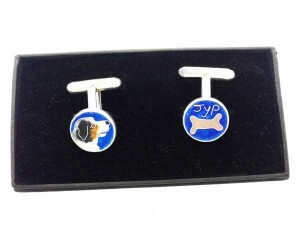 The idea would also work well as earrings or as a pendant too. Each side could have a different pet on or as here, a motif with the pet’s name. I plan to offer them as a commission piece.